You may not know where to scrap a car in Adelaide SA. Or, maybe you don’t have the means to tow the car to the scrapping yard, or the funds for a tow truck. With Car Wreckers Adelaide, scrapping your car is a no hassle process. We are scrappers in Adelaide that provide our customers with free car scrapping services; but, only after we put an instant cash payment in their hands! 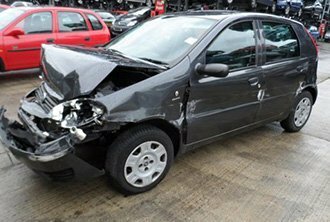 Our car scrapping offers a convenient way to sell scrap cars as we only ask that you contact us for a cash for scrap cars quotes, and accept the quote so that we can legally buy your car. Once a quote is accepted, the process is quick and simple. Your car may be a wrecked Ford or a damaged Toyota. Regardless, once a cash quote from Car Wreckers Adelaide is accepted, you have an instant cash buyer that is ready to put the cash in your hand. Cash up to $9,999. Car owners have the option to contact us over the phone or online to obtain a cash quote. Cash quotes for cars take little time to obtain as our appraisers can quickly determine the values of any car from the descriptions provided by the owners. When quotes are accepted, car owners will then be asked for a time that is convenient for us to arrive to buy & remove their cars. We technicians will arrive at the designated time scheduled by the car owner and arrive fully prepared to buy the car. Our car buying process includes a quick inspection of the car to ensure that the owners have provided an accurate description of their cars and all the paperwork that both Car Wreckers Adelaide and the car sellers must sign to ensure that the sale is on the up and up. Our technician will require proof of ownership of the car such as its title of ownership that will need to be signed over or its registration as well as your driving license. Once the car is inspected, and all paperwork is signed, our technician will then put the cash we offered for the cars into the owners’ hands. Our scrapping process is considered eco-friendly scrapping as we dismantle cars to recycle. When we are your scrapper, we put instant cash into your hands as we are the recycler that turns your car from scrap condition to recycled metals. 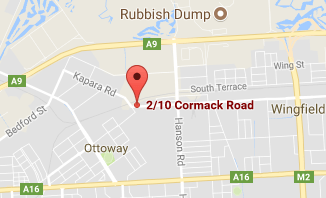 Where to Scrap a Car Adelaide? Car Wreckers Adelaide is a top choice in an Adelaide wrecker, and Scrapper with that is reputable. We are a company that enjoys making the best offers for cars of any make and condition. We loves to be the removal company that offers outstanding services for each car we remove.